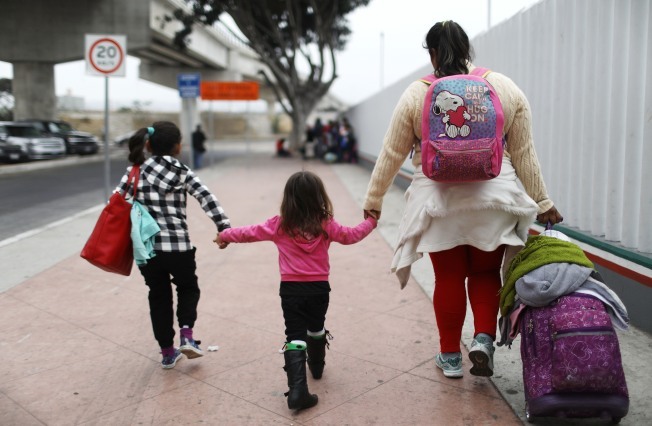 In this June 21, 2018, file photo, a migrant mother walks with her two daughters and their belongings on their way to the port of entry to ask for asylum in the U.S. in Tijuana, Mexico. The mother, who did not wish to give their names, said they were fleeing their hometown near the Pacific coast of Mexico after suffering a violent carjacking of her taxicab. The Trump administration has chosen an Army base and an Air Force base, both in Texas, to house detained migrants swept up in the federal government's crackdown on illegal immigration, Defense Secretary Jim Mattis said Monday. Mattis said he could not confirm specifics, such as the number of migrants to be sheltered at Fort Bliss and Goodfellow Air Force Base. 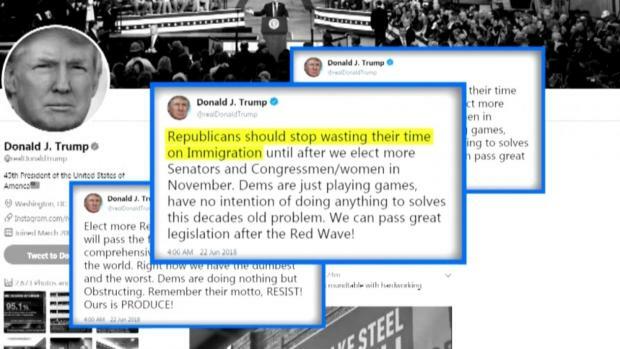 He spoke to reporters in Alaska alongside Sen. Dan Sullivan, an Alaska Republican. "We'll provide whatever support the Department of Homeland Security needs in order to house the people that they have under their custody," Mattis said. "We will work that out week by week, the numbers obviously are dynamic so we will have to stay flexible in our logistics support." Mattis was in Alaska to visit Fort Greely, where the U.S. military maintains an arsenal of missiles designed to shoot down long-range ballistic missiles. Afterward, he was heading to Beijing and then to Tokyo and Seoul. The U.S. military has a long history of providing logistical support to people "escaping tyranny" or affected by natural disasters, Mattis said, explaining he recognized the "political aspects" of the situation along the southern border of the U.S.
"We provide logistics support and we're not going to get into the political aspect," he said. "Providing housing, shelter for those who need it is a legitimate governmental function."